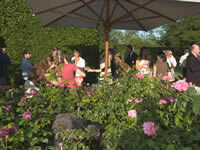 Guests enjoy the wonderful setting, and the roses. 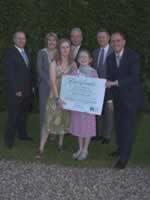 Kate & Sophie Sargan present John Bullivant of Ocean Contract Cleaning with a certificate to record their donation of £50,000. They are joined by Julie Spavins (2nd from left) and colleagues of OCC. 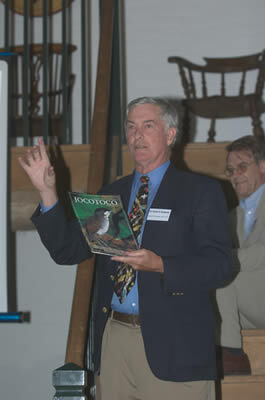 Dr Robert Ridgely describes how and where he discovering the Jocotoco Antpitta in what is now Fundación Jocotoco's Tapichala Reserve. 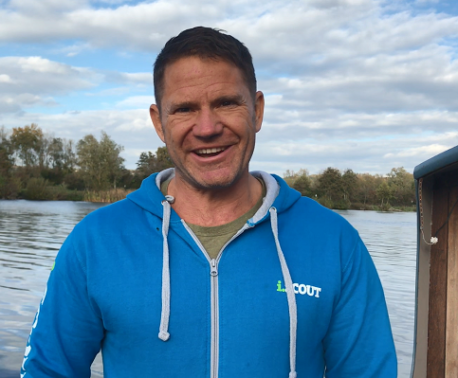 In the background is John Burton, WLT CEO. 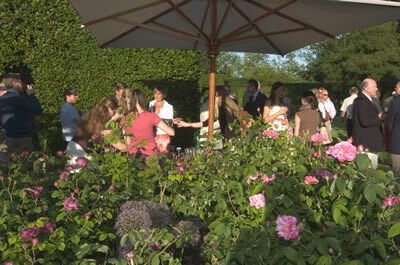 WLT held its second Rose Garden Reception in Suffolk on 20 June. As at the time of last year's reception, the weather forecast wasn't good and we warned our guests that they may need wellingtons and umbrellas. But once again it was a lovely sunny evening with not a hint of rain. The roses had been battered dreadful weather over previous days but they too didn't let us down either: they were stunning. We were joined by the WLT Honorary President, Dr Gerard Bertrand and Dr Robert Ridgely who is a Board Member of WLT-US and also Fundación Jocotoco, who both gave presentations. 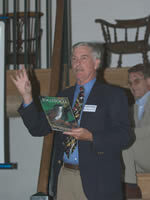 Dr Ridgely is an American ornithologise specialising in the neotropics; he is the author of three books on neotropical ornithology: The Birds of Panama, The Birds of Ecuador, and the The Birds of South America. We also welcomed the Sargan Family. Kate Ailsa Sargan received a unique Christening gift from her parents to celebrate her birth in 1990, when they 'bought' her 40 acres for Programme for Belize, saying "We want to try and help give her a world to look forward to". A few year's later along came Sophie and she too received rainforest to welcome her into the world. It was a pleasure to meet up with the whole family, who have been regular supporters since those early days. 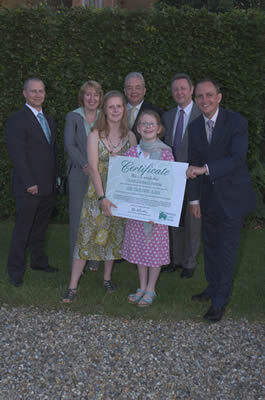 Other guests included John Bullivant, Managing Director and Julie Spavins, Financial Director, of Ocean Contract Cleaning who made a donation of £50,000 on the evening to fund land in Paraguay, and it seemed appropriate that Kate and Sophie Sargan should present them with their certificate to commemorate their donation. Thanks also to sponsors Alder Carr Farm who provided tubs of ice cream for everyone: it was hard to choose between Summer Pudding, Gooseberry & Elderflower and Stem Ginger & Rhubarb as they were all so delicious.